I’d like to begin by apologising for not posting for so long! I have been busy getting ready for some exciting surprises which I will let you in about soon. Hopefully I can make it up to you with these little delights. What are they you ask? 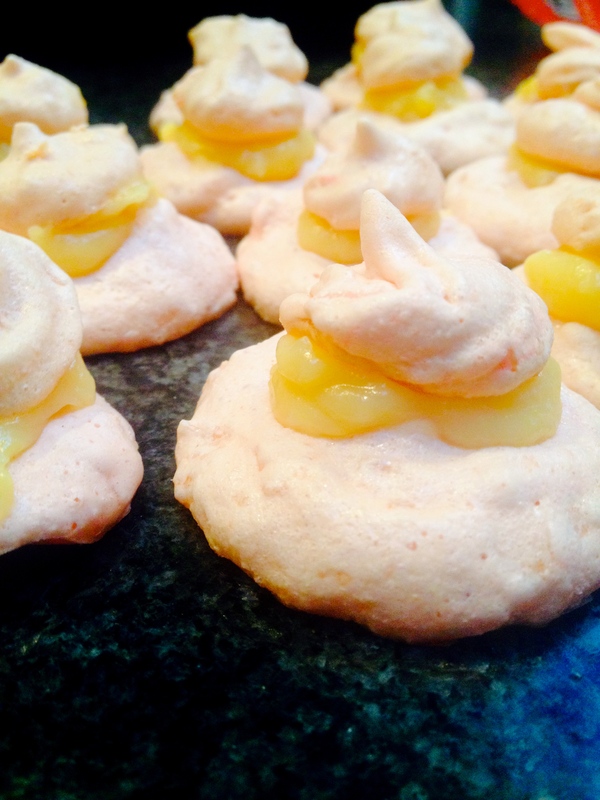 They’re sweet, chewy, crunchy, tangy and soft- they are my coconut meringue bites with a lemon curd surprise! So so simple to bake and such a cute little treat to tickle your taste buds. 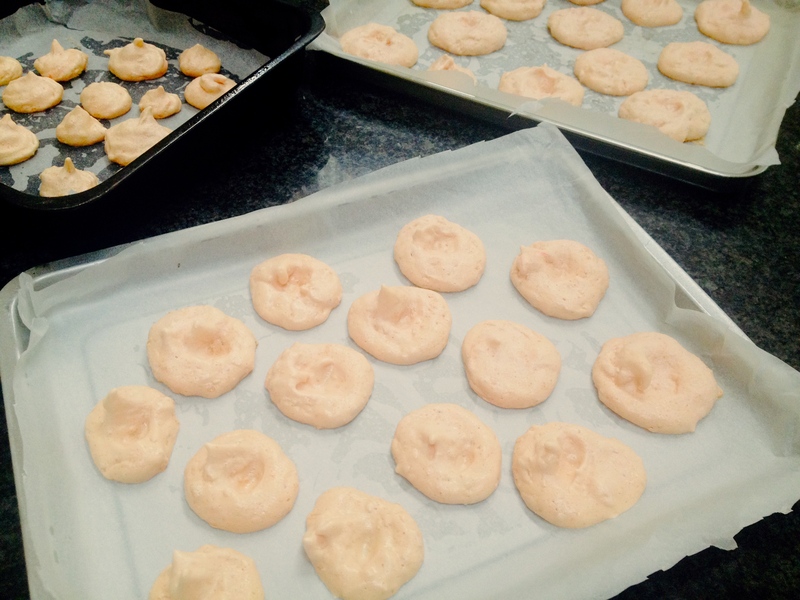 Begin by lining two baking trays and preheating the oven to 120 degrees. It’s really important to measure out your ingredients precisely for the perfect result. Once your confident to begin start whisking up the egg whites in a large bowl. At this stage you can add a pinch of salt or cream of tartar to stabilise the egg before the sugar goes in. 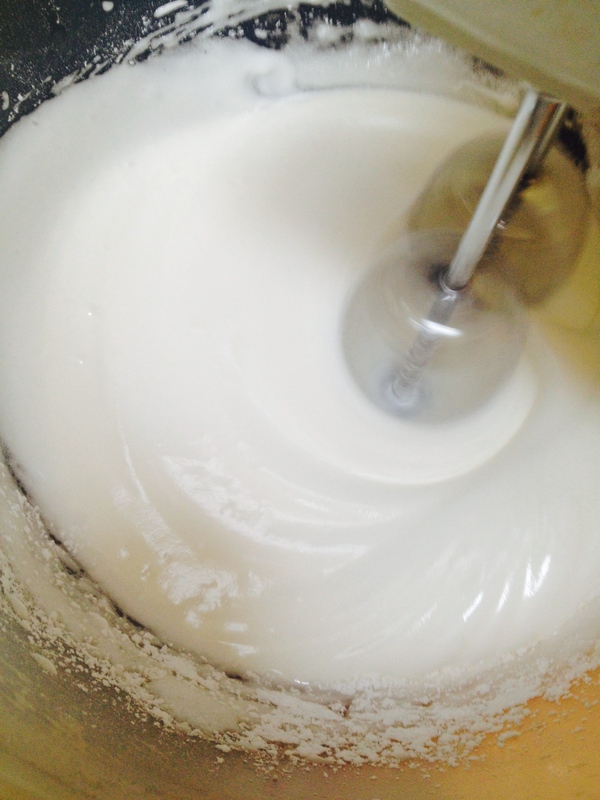 Once your mixture has reached soft peaks, add the sugar gradually between whisks. 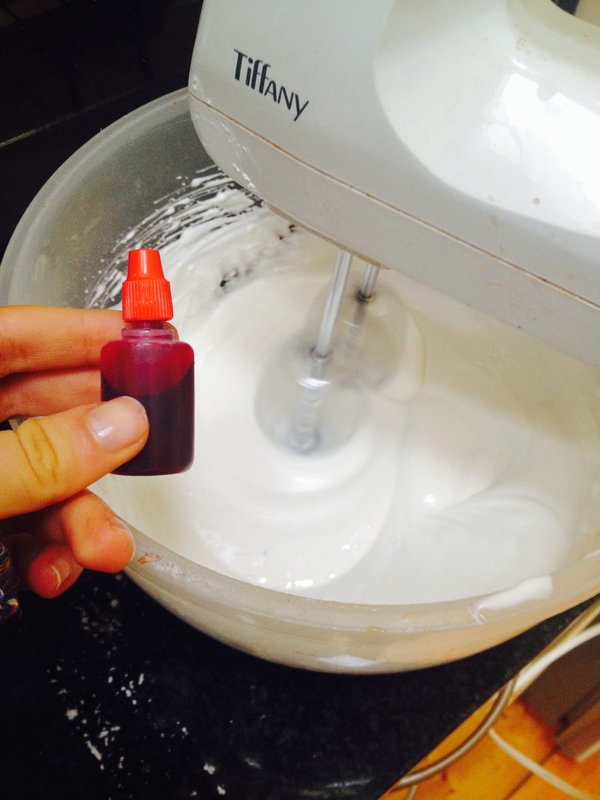 When all the sugar has been added continue to whisk for a further 2-3 minutes or until the mix is thick and glossy. Also make sure all the sugar is dissolved. I use the age old trick of rubbing a touch of meringue between my thumb and my index forefinger. When you’re happy with the constancy carefully fold in the shredded coconut for lovely flavour and the pink food colouring for aesthetics. 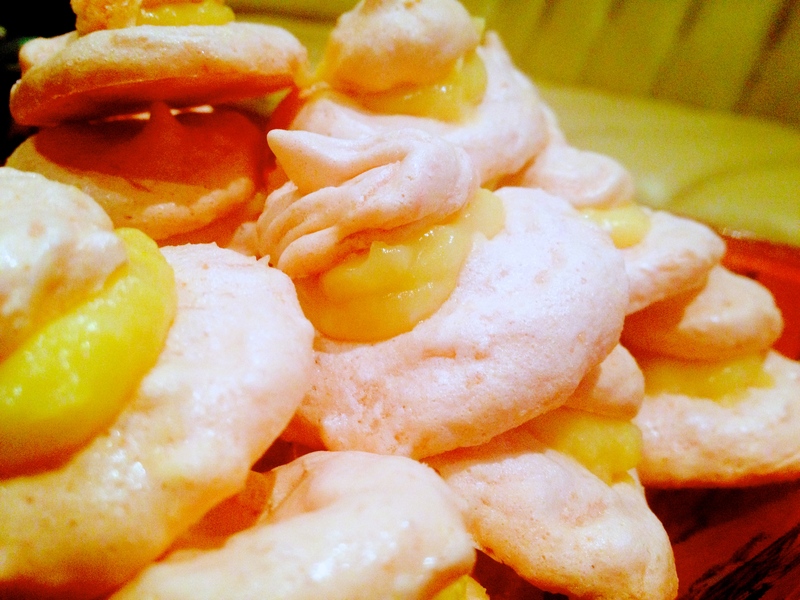 Now to get creative… simply pull out you’re homemade lemon curd (or store bought if you must) and put a teaspoon of lemon curd on top of the larger (base) meringue and top it off with you’re little swirly meringue hats. So cute, so impressive and so worth it! There you go. Delish (licks lips)!